Hundreds of people from Bulgaria’s film and theatre world attended the funeral service for Todor Kolev, the prominent Bulgarian actor who died on February 15 2013 at the age of 73 after a long illness. Among those who attended the farewell to the great actor, at Sofia’s Ivan Vazov National Theatre, were Culture Minister Veshdi Rashidov and actor and former culture minister Stefan Danailov. 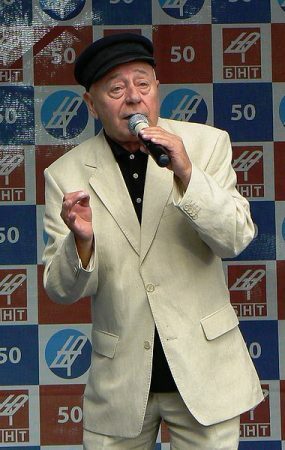 Kolev, born in the town of Shoumen, appeared in more than 30 films and in many television and stage roles, in theatres in Sofia, Plovdiv, Smolyan and Shoumen. In 2011, he was given the Union of Artists’ prize for overall contribution to art in Bulgaria. After the end of the Zhivkov era in Bulgaria, Kolev was a member of the Grand National Assembly for the right-wing Union of Democratic Forces and for a year headed Bulgaria’s embassy in Canada.